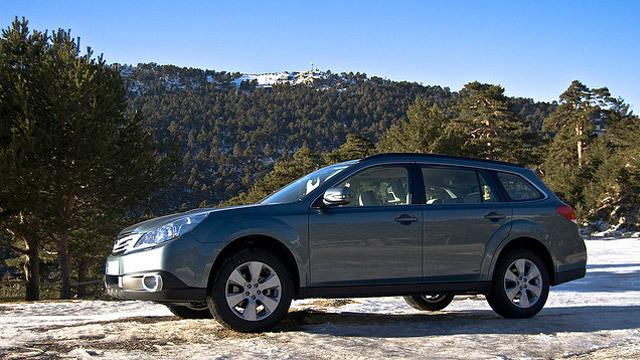 Subarus are known as some of the most reliable automobiles on the road today. But even the most carefully engineered and built machines will someday require auto repair. And in Springfield, the best auto mechanics for the job are under one roof: Complete Automotive. Our auto mechanics have years of experience working on Subarus and most other car brands and models, but they know that the world of auto repair is constantly changing. That’s why they and owner Carl Hutchinson attend regular training sessions to keep up to speed on new diagnostic and repair techniques. And we don’t just take care of your Subaru. We take care of you. The moment you step into Complete Automotive, you’ll feel like a cherished friend. We provide you with an accurate estimate of the costs involved in the repair of your Subaru, and how long it will take. If our auto mechanics need to keep it a while, we’ll cheerfully drive you to your home or workplace so you can get on with your busy day. If it’s something we can do quickly, you’ll love relaxing in our warm and comfortable waiting area, where you’ll find an ever-changing display of the works of Springfield-area artists. When the day comes that your Subaru needs the attention of an expert auto mechanic, your best choice is Complete Automotive. Schedule an appointment online, or just stop by our shop at 2238 E. Chestnut Expy. in Springfield, MO 65802. When it comes to all your Subaru’s auto repair needs, trust the experts at Complete Automotive.